New York, NY, USA; Roger Federer of Switzerland celebrates after match point against Frances Tiafoe of the United States (not pictured) on day two of the U.S. Open tennis tournament at USTA Billie Jean King National Tennis Center. 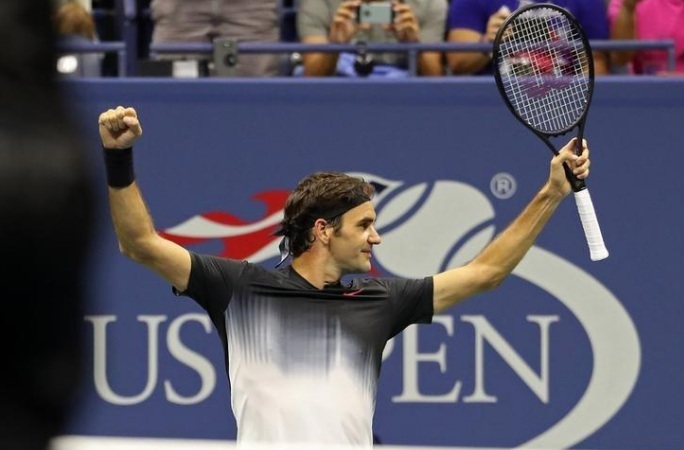 NEW YORK - World number three Roger Federer survived a first-round scare from Frances Tiafoe before grinding out a 4-6 6-2 6-1 1-6 6-4 victory over the American teenager in front of a raucous crowd at the U.S. Open on Tuesday. 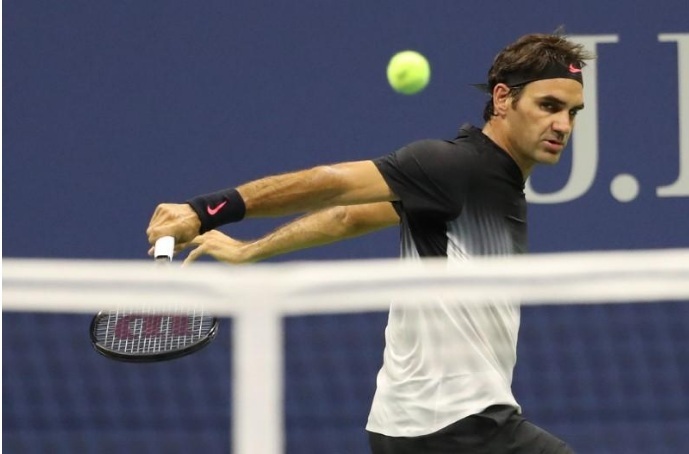 New York, NY, USA; Roger Federer of Switzerland hits a backhand against Frances Tiafoe of the United States (not pictured) on day two of the U.S. Open tennis tournament at USTA Billie Jean King National Tennis Center.